With an increasing number of enterprise applications and access points, organizations face the challenge of providing convenient access while ensuring strong security. Enterprises need software to help ensure that the right users have access to the right information in a timely manner. Password management has become a significant burden to both organizations and employees, and leads to reduced user productivity, higher help desk costs, and security and compliance exposures. Even more importantly, poor password selection and management by employees represents one of the biggest corporate security weaknesses today. Employees often write down their passwords in unsecured locations, use common words like “password” as their password and share their passwords with coworkers. 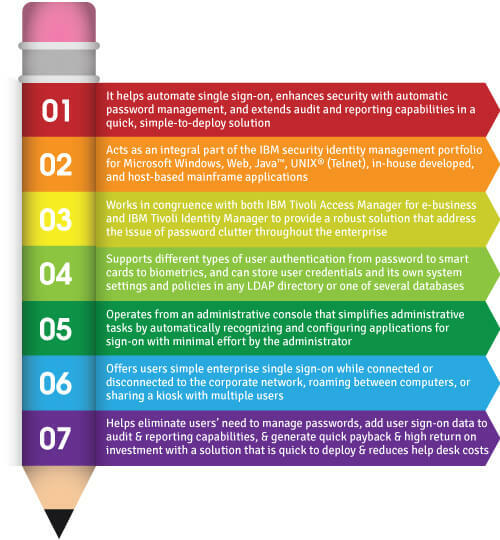 Tivoli Guru helps organizations to implement the IBM Tivoli Access Manager for Enterprise Single Sign-On (TAM E-SSO) solution which provides simple authentication capability across applications. 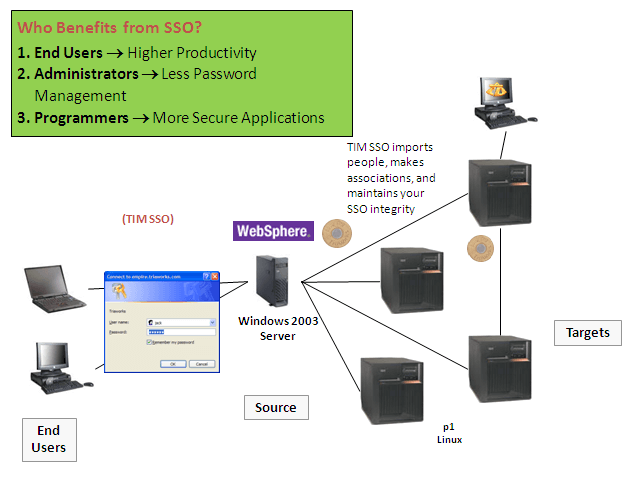 Tivoli Access Manager for Enterprise Single Sign-On delivers a simple, flexible and complete identity and access management solution at the enterprise end points. It combines enterprise single sign-on with strong authentication, and audit and compliance services, while integrating seamlessly with provisioning and directory services, with no change to your existing infrastructure.